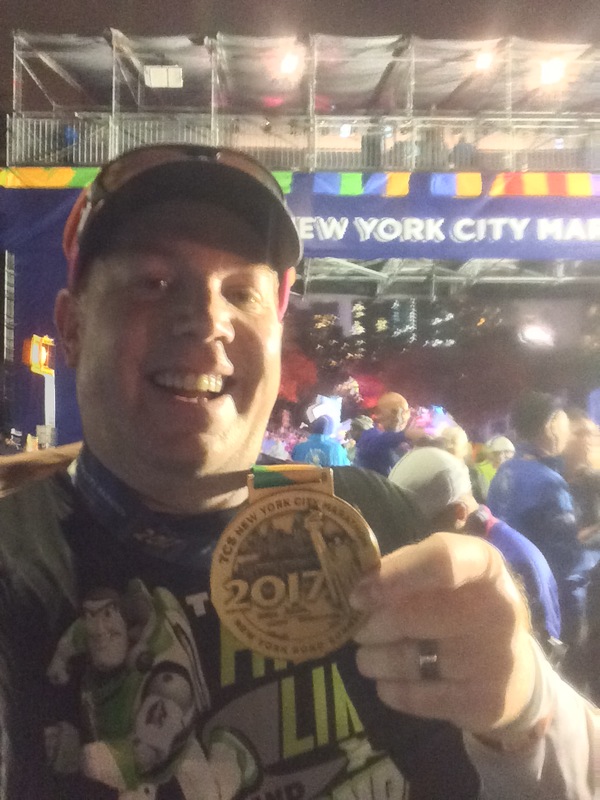 So, I had hoped that this would be a post sharing an epic, climatic finish to my training for my first ever full marathon. However, I only finished 18 of the scheduled 26 miles. It was the first time I’ve missed on a distance since I started training for the Disneyland Half Marathon back at the end of April. The reason I missed? 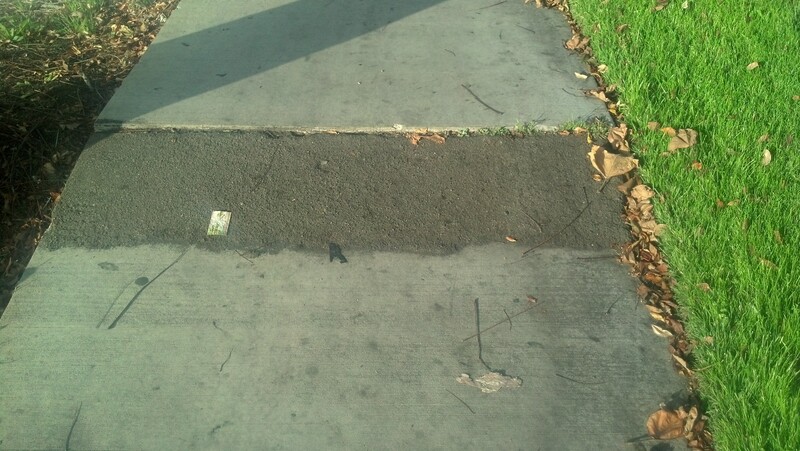 In the 8th mile, this bump in the sidewalk lead to a fall that could have been worse. However, I’m getting a little ahead of myself. The day started early. Since I was going to start and finish at the Disneyland Resort, and I get free parking for being a cast member, I decided to take advantage of parking in the structure. Some of my co-workers talked me into trying out the structure. 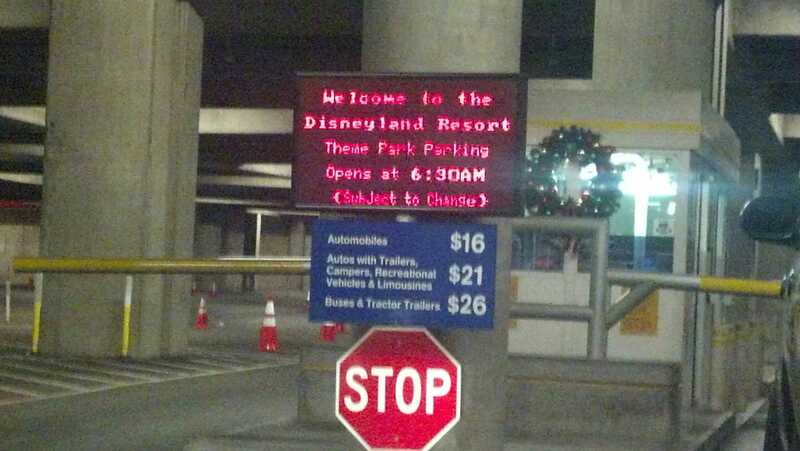 I arrived at the structure at 6:11am on Saturday and saw this…the lot didn’t open until 6:30am. Ugh! Since it is a one way only into the structure, I pretty much just had to sit there and wait. So, I did. 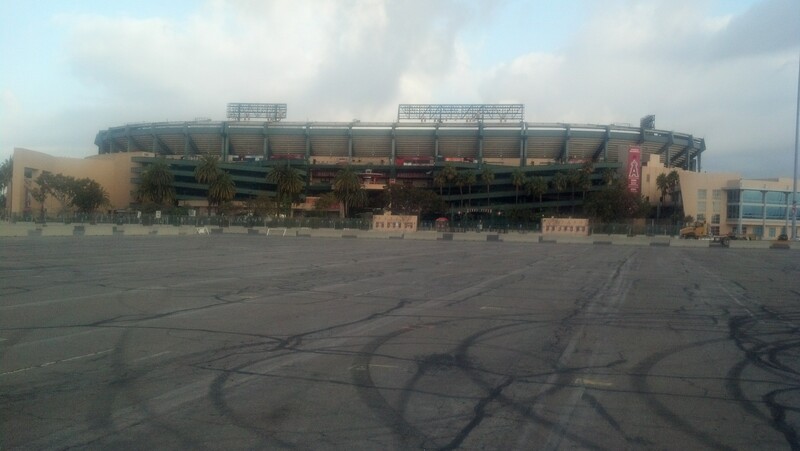 A little after 6:30, the gates opened and I got to go in and park. 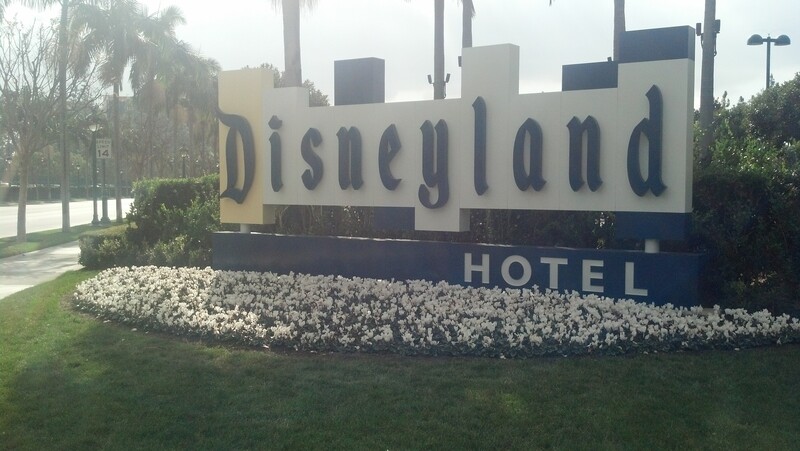 I took the tram into Downtown Disney and walked back to the Grand Californian. 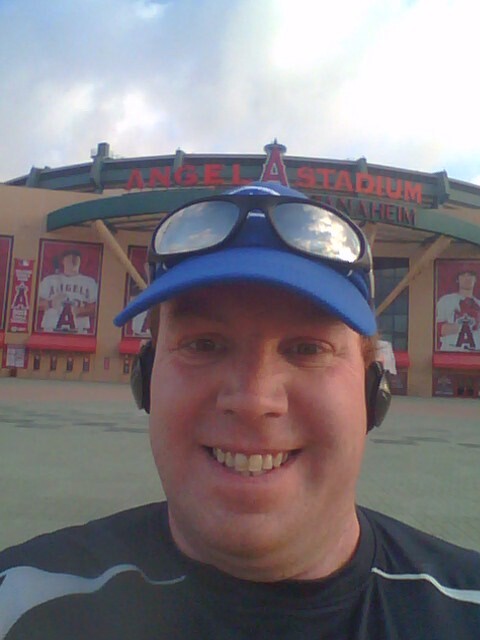 Then, it was out the front and onto Disneyland Way to start what I believed would be an epic 26 miles. It was a bit cold and overcast as I started out. The thing I hate about using a GPS watch is waiting for the watch to find you. Finally, the watch found me and I was ready to go. Above is the picture I took right before starting. I was a little tired to start off. However, I’m not a morning person. So, waking up at 4:30am, like I did, isn’t easy. Once I got out the door, it gets easier to find motivation. At the beginning, I was just wanting to get to that place where I no longer felt cold. After about a half mile, I was feeling fine. 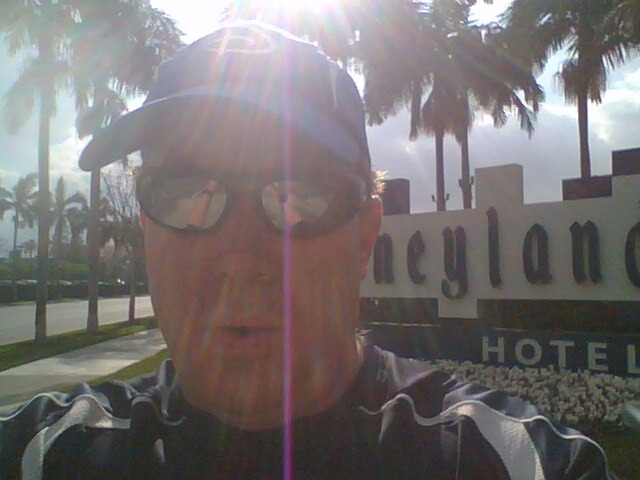 I went down Disneyland Way to Ball Road and turned right. The first mile was a little slow for me. Seeing two red lights at my first two traffic lights saw to that. It was okay, though. I just wanted to finish. 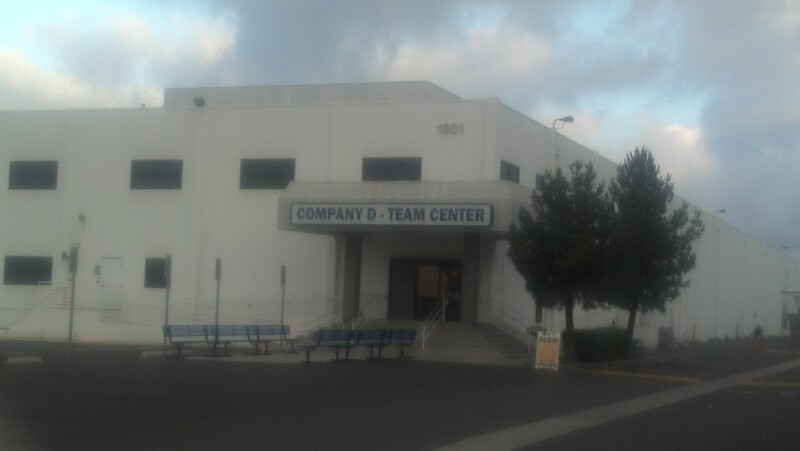 I passed by Company D, the Disney employee store where I was planning going after finishing my run. 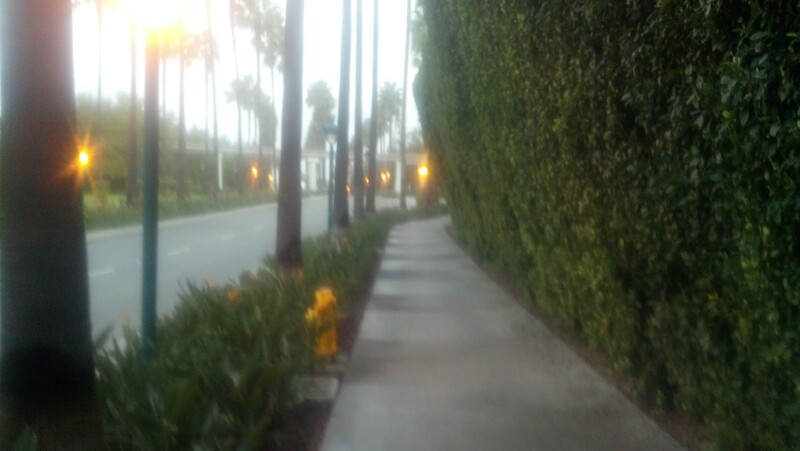 Once I got past Company D, I would find myself on a part of Cerritos Avenue that didn’t have sidewalks on either side. So, I had to do some street running. With it being so early in the morning, there wasn’t much traffic. That made it easier to be running on the street. 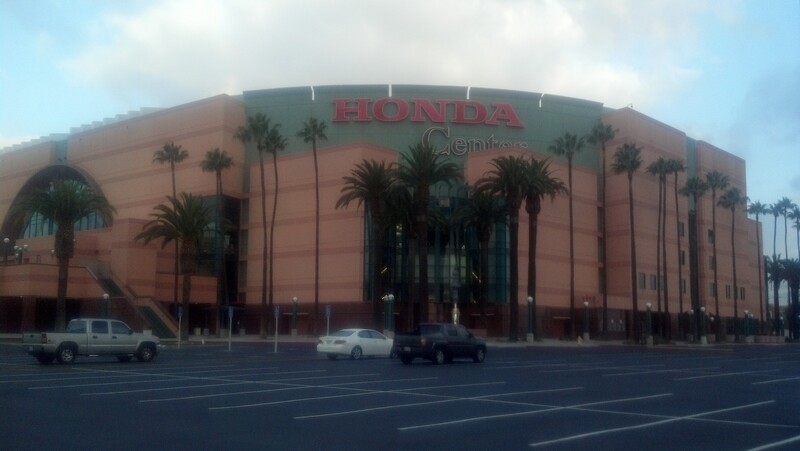 By the end of the fourth mile, I was at the Honda Center. I have no clue what they were getting ready for, but there were people working when I arrived. When I ran by here on the 12.5 mile training run this past summer, it was the circus that was in town. 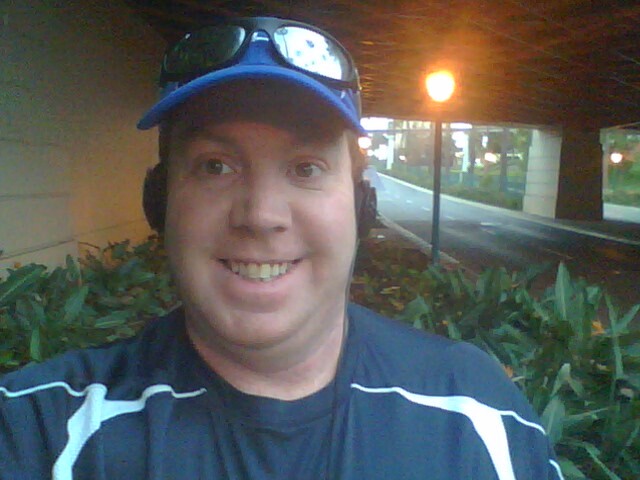 With much less going on in the parking lot, I was not deterred from my run/walk intervals. Of course, taking my second block pushed back another interval by a few more seconds. It was all good, however. I felt good while running and was happy to get to my first point of interest on this run. 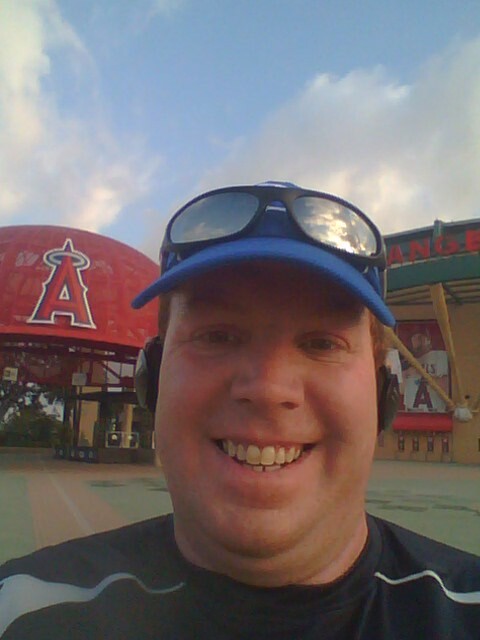 I left the parking lot of the Honda Center and made my way onto the river trail that Disneyland Half Marathoners will remember. 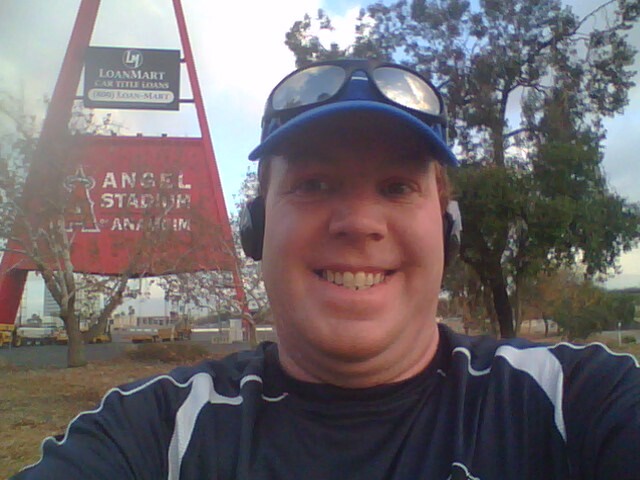 About a mile later, I came to the end of my time in the river trail and caught my first glimpse of Angel Stadium. No cheering crowds this time. No boyscouts and girlscouts or running through the inside of the stadium. So, I kept going through the parking lot. By the time I crossed the end of 5 miles, I was a minute behind the pace I would have liked. However, I chose not to get too stressed about time and enjoy the journey. The theme of this run was to just finish. So, when I got to the front end of the stadium, I took some more pictures. I never found the lid to the other one. With this one, I felt the water burst on me. 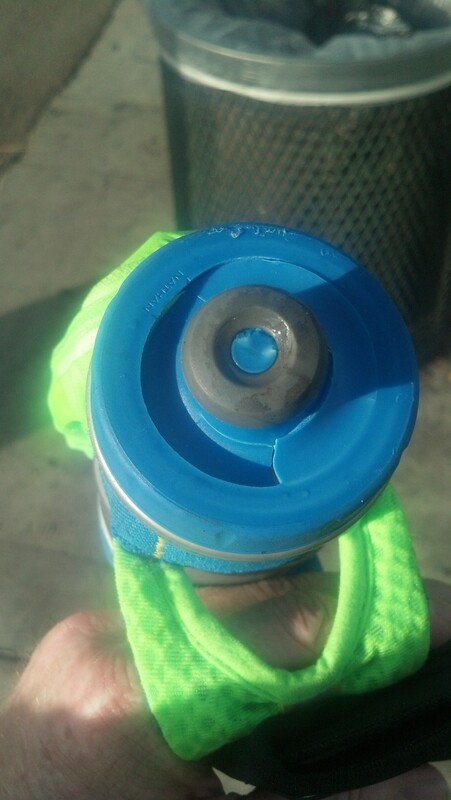 As you can see, the damage from the fall was worse on the water bottles than myself. When I got up from falling, I spent a few minutes to check and assess the damage to myself. When I walked, I felt no pain. 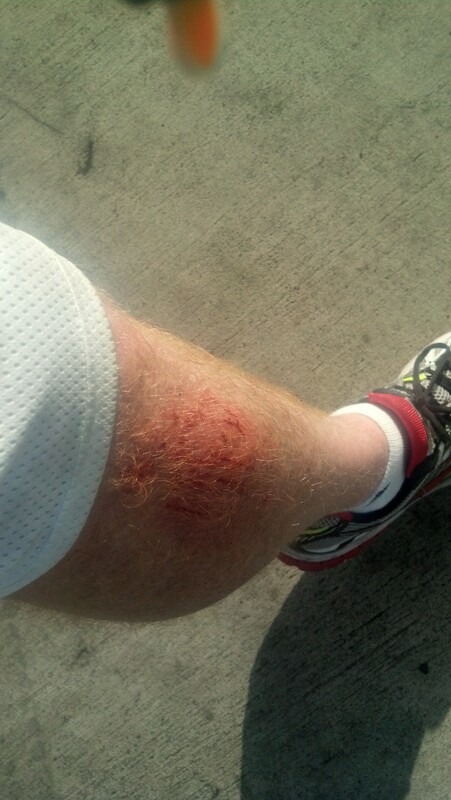 The bleeding from the scrapes wasn’t bad at all. No blood running down my leg. Other than wanting to find the tops of my broken water bottles, I felt like I would be okay to keep going. I knew that the Anaheim Garden walk was not very far from where the fall happened. So, I was sure they had a restroom I could use to clean the wound. I used that half mile as a testing ground. I didn’t want to push too hard, but wanted to see if the damage to myself was limited to the scrapes or if anything else had happened. 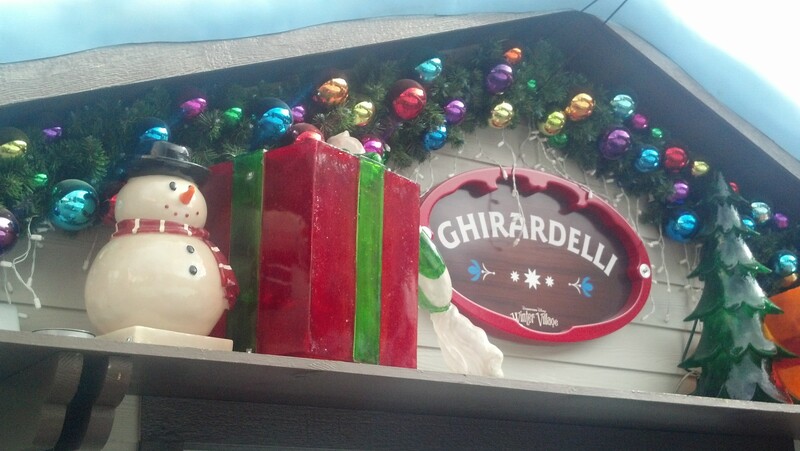 Once I got cleaned up at the Garden Walk in Anaheim, I began the long mental battle over whether or not to continue. After all, not only did I lose all that liquid, but the two bottles were now useless. 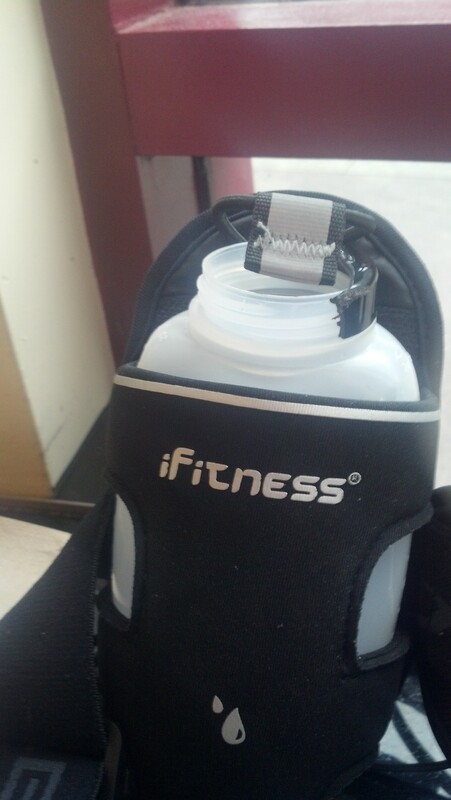 So, I had one small-ish bottle to carry liquids. Was that really enough? Could I find a way to manage the remaining miles with such a small bottle? I decided to try to see how far I could go. By this time, all of my strategies went out the window. I was in survival mode. I really wanted to finish all 26 miles because I’ve hit every long run distance for so many months. Between miles 9 and 13, I would go in and out of focussed training running and those pesky thoughts of quitting. One other thing happened in that fall. My arm band that holds my phone/music source, ripped. 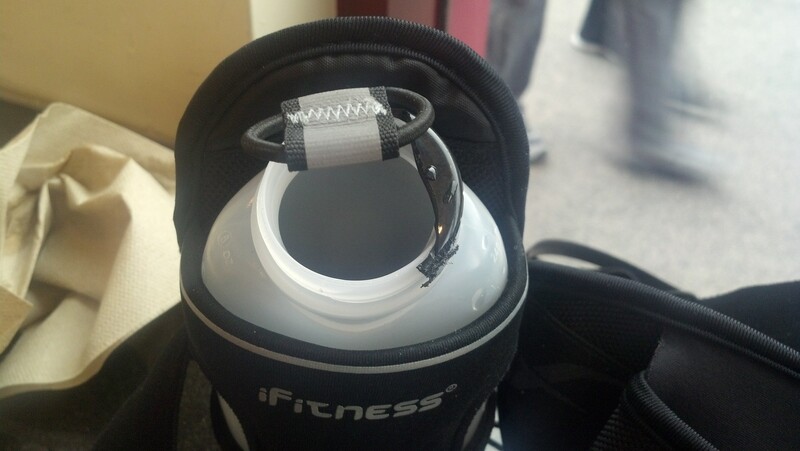 By the end of 13.1 miles, the band finally finished ripping and could no longer be used. That was the last straw for me. I was holding a broken water bottle in one hand and my phone in the other. It just seemed like this was not my day. So, instead of continuing on Beach Blvd towards Knott’s Berry Farm, I turned up Ball Road and made my way back to Disneyland. I knew that I was still several miles from Disneyland. So, the rest of the way, I played a guessing game as to how many miles I would end up with. The tally was close to 18. 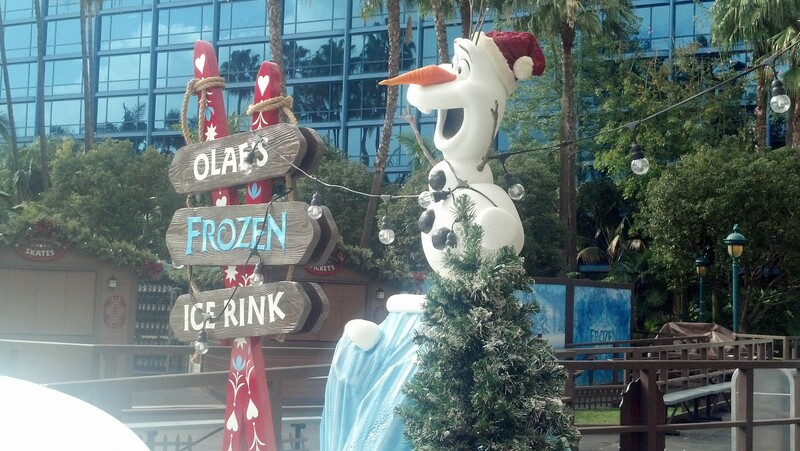 The walk back to the Disneyland Resort was filled with so many different emotions. By the time I decided to go up Ball Road, I had quit on the run mentally. There wasn’t much run left in me. I felt defeated. I felt a little dehydrated at one point and stopped at a 7-Eleven for a nice big bottle of Smart Water. I was also wondering how to proceed between now and the marathon. Do I try a 20 mile run next weekend to make up for this? Or would that mess with the taper period? Inexperience can really mess with you. As of today, I’m still unsure about how much I will run the next weekend. One thing I do know is that I will not be attempting 26 miles. Not a happy camper. 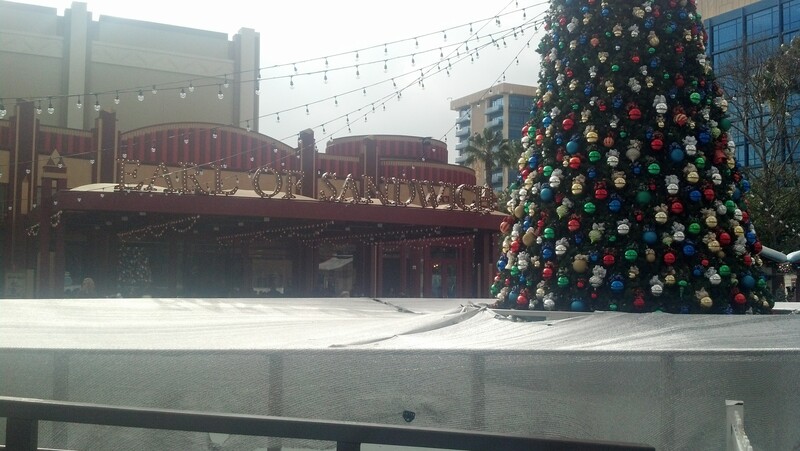 So, since things turned out so badly, I decided to hang out at Downtown Disney for a bit to pick up my spirits. 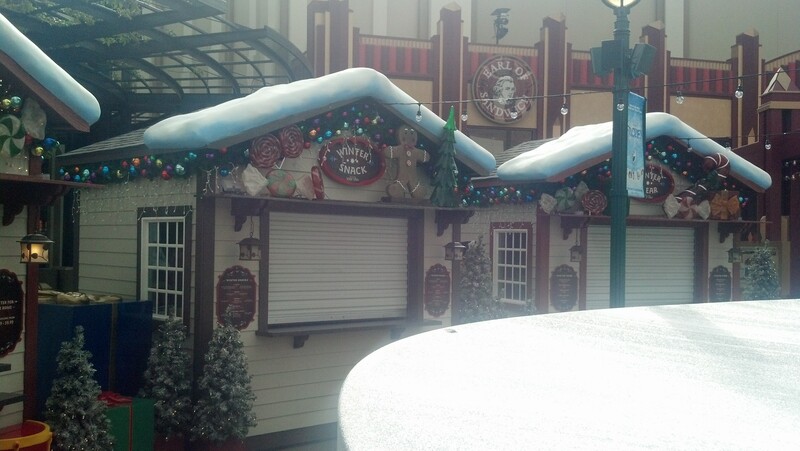 The ice rink wasn’t up and going just yet. However, there was some fun theming. Don’t you think? I have finished two – 20 mile runs in training. So, it might not matter that I didn’t make it to the end of the third. If this had happened during the Walt Disney World Marathon, I wouldn’t have had to worry about loosing water bottles because I won’t be carrying any during that race. After all, they have plenty of water/Gatorade or Powerade stations on the course. So, if I fell on the race, I wouldn’t have lost out on water and sports drink and I would have had the debate over fueling problems that knocked me down for the count this time. If I repeat my 23 mile time at Walt Disney World, I would still finish well under the 7 hour time limit the runDisney has on their races! Everyone has bad runs while training for long distance races. If I choose to ever do another full marathon, I really need a training partner/running group to train with. All of the runs I’ve done over 15 miles can get a little lonely at times. If someone was running with me on Saturday, they might have had some brilliant bits of advice that would have seen me through to the finish. 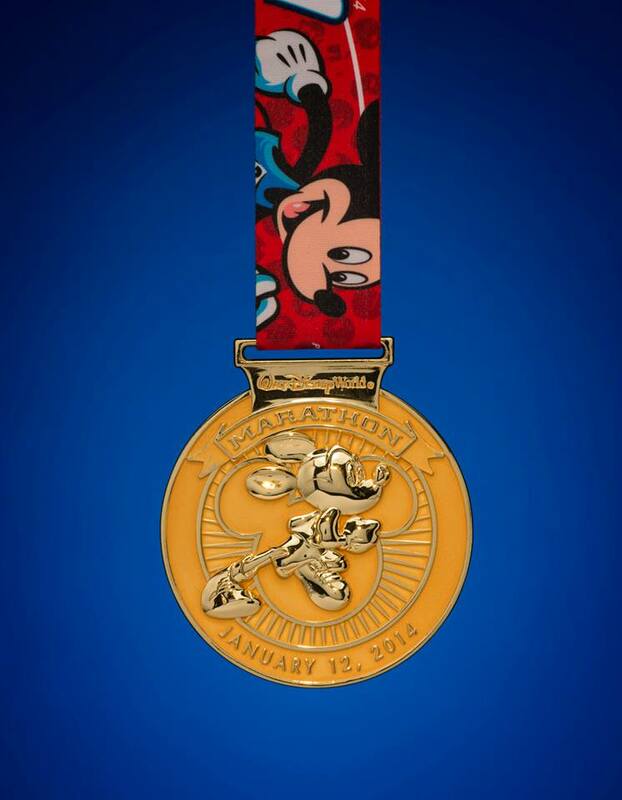 When I run at the Walt Disney World Marathon, I will be doing so with thousands of other runners, the distraction of running through 4 theme parks, all of the character stops, etc. So, this wasn’t a true dress rehearsal at all. Time will tell. For those of you who are more experienced out there…Should I attempt a 20 mile training run this coming weekend? Considering that I’ve put in 2 training runs of 20 miles or more already, would it be wise for me to attempt another one after this failed attempt? Or should I just let the taper period go on as scheduled and trust that the two 20 mile runs I got in will be enough to get me to the finish line? 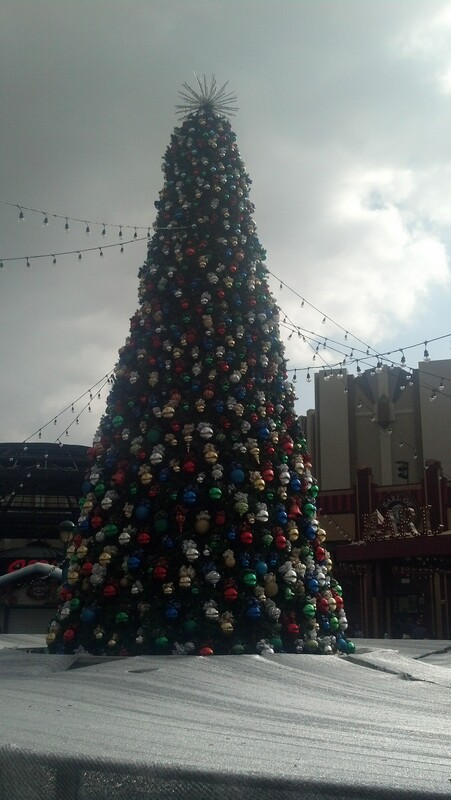 To end this post on a positive note…I did get to play at Disneyland and Disney California Adventure yesterday. Tune in tomorrow for a full report. Bummer on the fall, but great job on salvaging what you could.